Happy spring, everyone! Man, am I happy to be saying that! The snow has melted and the weather is warming up. Still chilly here to go without a coat but the alternative is a long sleeve sweater and a vest. I actually had my mother-in-law pick this up for me at Target in Florida. Gone are the Canadian days of visiting one here so if I'm in Plattsburgh I usually make a pit stop, otherwise I count on Florida. 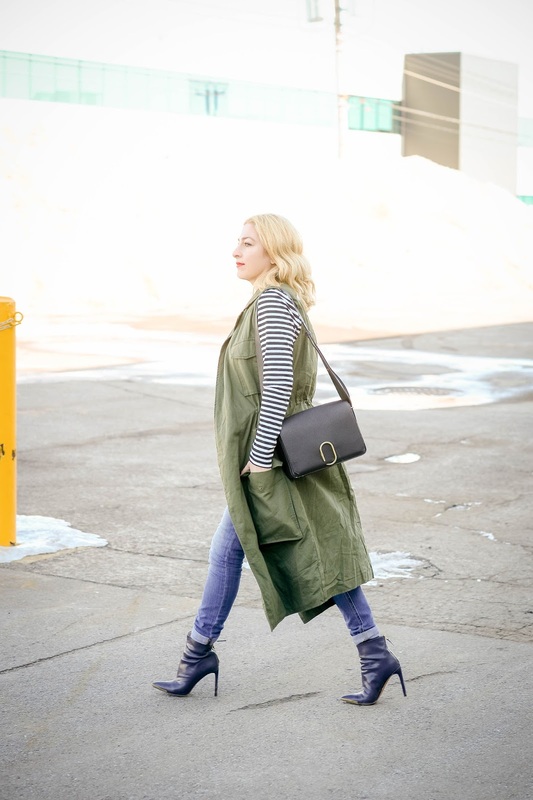 This trench vest has all the fashionable details of a classic trench coat, from the tailored flap pockets at the chest and hips to the button-flap shoulders (You'll seriously get something lost in these pockets). The stylish twist of the sleeveless cut looks great with crop tops or cute T-shirts and layered over everything from short shorts to midi skirts. Love the trench! I just blogged about the same one on Monday. I love how you styled it! Sad for you no more Targets in Canada. Hopefully again some day! I love this collection from Target! I actually wanted this vest but it was sold out in my size :( I left with a few different items! 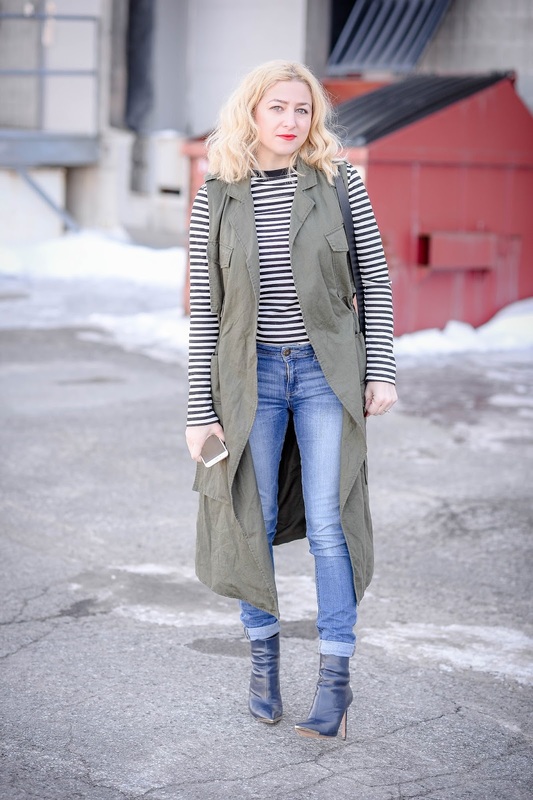 Rocking this trench vest! Love the olive tone, and the pairing with casual denims!